The Energy Collective Webcast: What Will ACES Achieve? The U.S. House of Representatives voted on Friday to pass the American Clean Energy and Security Act, commonly known as the Waxman-Markey Bill. While it has yet to pass the Senate, the bill promises an unprecedented and sweeping package of climate legislation, the full ramifications of which are yet to be determined. But will the bill actually accomplish all of its purported goals? And how? What effects, short and long-term, will the bill actually have on the U.S. economy and the current path of climate change? The Energy Collective presents a live, interactive webcast in which energy experts and TEC blogger board members Jesse Jenkins of the Breakthrough Institute and John C. Whitehead of Appalachian State University will dig into the bill and provide insight into its likely effectiveness in a number of key areas. 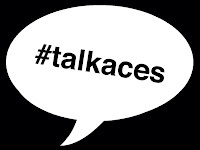 Participants will have the opportunity to participate and ask questions by following along on twitter with the hashtag #talkaces.